A new blog button has been added to the left but it doesn't go anywhere! I just loved the message. Thanks to new MBQG member Tina Belding who gave me a button she had made from the graphic. I went to Tula Pink's website and downloaded the image which she has given anyone permission to do. 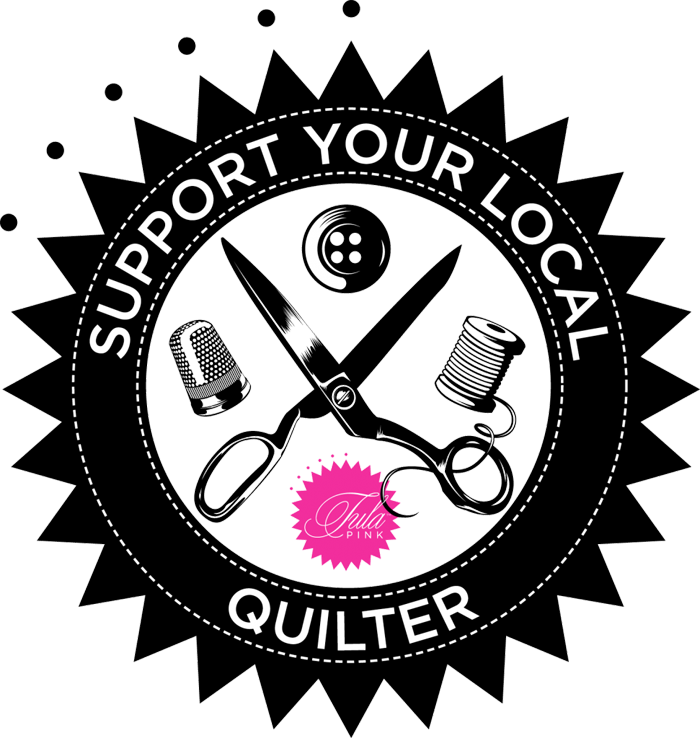 So quilters, go to the Tula Pink blog, grab a button and support a local quilter!